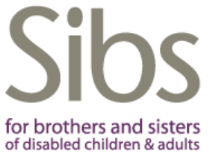 If your brother or sister has a disability and you're finding it tough, you may find the links below useful. Young siblings: You're not the only one! There are lots of young people growing up with a disabled brother or sister. We call these people siblings which is just another word for brother or sister. The needs of siblings: covers the range of issues that brothers and sisters may face, such as feeling isolated, lack of parental attention and ignorance about the condition.